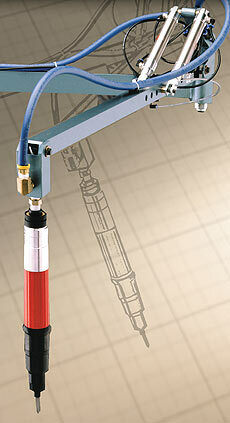 Application: Takes screwdriver weight and torque reaction off operators to speed production. For small to extremely large applications. We understand operator challenges and ergonomic demands. 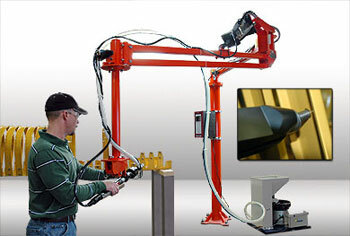 With the torque/balance Power Assist Arm, Visumatic accomplishes a tremendous ergonomic and efficiency advantage, supporting the tool and eliminating torque reaction. A great value in the long run. 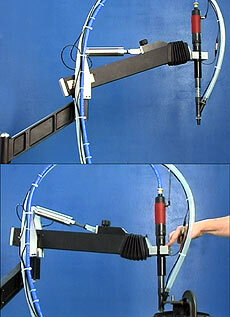 Torque reaction arms available powered or non-powered. Because after all, your employee is your best asset.